11 Second Date Ideas for Couples That Made It Past The First Date! For the more adventurous couple, you can always consider rock climbing for some couple bonding time. Rock climbing can not only make you physically stronger, but it may also make your relationship stronger as well! Both of you can be each other’s belayers, which in turn can build trust. And if one of you falls off the wall… I guess you can say that you fell for each other all over again. 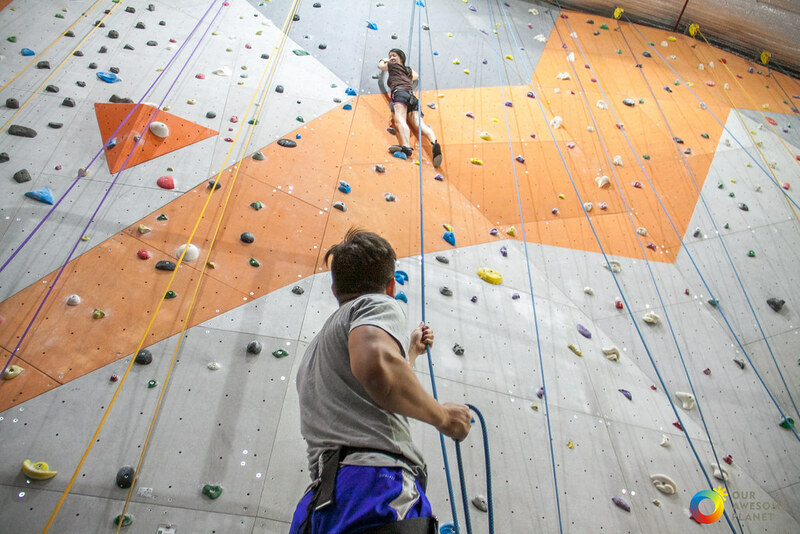 Locations: Read our post about the 10 climbing gyms in SG! Kite-flying may sound like an activity for kids, but it is actually a whole lot tougher than you think. It takes a lot of brain and willpower to even build a kite. Then, comes the problem of getting the kite to fly. An optional problem that depends on how good your kite-flying skills are involves the event that your kite gets stuck in a tree or something. The good thing is that this tough series of activities help you build teamwork with your partner so that future challenges may (hopefully) be easier to handle. A couple that cooks together, stays together. There is nothing more romantic than shopping for groceries with your partner and then going back to prepare a nice meal together. It also a great way to test your partner’s cooking skills and see how handy he or she is in the kitchen! Boys, this is your chance to show your girl how brave you are. Bring her out for a prawning date and help her to catch and unhook all those squirmish prawns! After that, you can cook up a prawn feast for the both of you. What better way to spend your second date than serenading your partner? Belt out your favourite songs together in a small, intimate Karaoke room. You can even invite another couple down for a double date Karaoke session! Even if you can’t sing, it’s alright. They’d probably have just as much fun laughing at you. Do dating the old school way like your parents and bring your date to an arcade! Team up with your partner at the different game booth and see if you guys can bring home a prize or two back! Curious to see how your date handles tough situations? You can test to see how well the both of you work together by completing tough quests in an Escape Room! Looking for a more intense dating activity? Challenge your date to an intellectual day of fun at The Mind Cafe, where you can have fun trying out over 500 different board games. Obstacle courses are a strenuous yet fun activity for couples who enjoy pushing their physical limits. Cheer each other on while tackling different courses! Want to get down and dirty yet keep the date innocent? Go for a pottery class together and have fun playing around with clay! With bike renting apps being all the rage now, why not abuse it (we don’t mean by throwing the bike down a HDB flat) by exploring Singapore on it? Bike around our small little island and try to find new hidden gems that you can keep note for future dates! Looking for more date ideas? Here’s a list of interesting things to do this weekend!